Here at TWIA HQ, we can’t stress strongly enough how seriously The Wedding Industry Awards judging panel take their role – there is a great deal of personal time and hard work that goes into creating both the regional and national shortlists, as well as the winners, so we’re always grateful to our judges for lending us their experience and knowledge to create a fair and rigorous judging process. Mighty Fine Entertainment was set up with the primary goal of providing outstanding DJs and service for wedding parties. 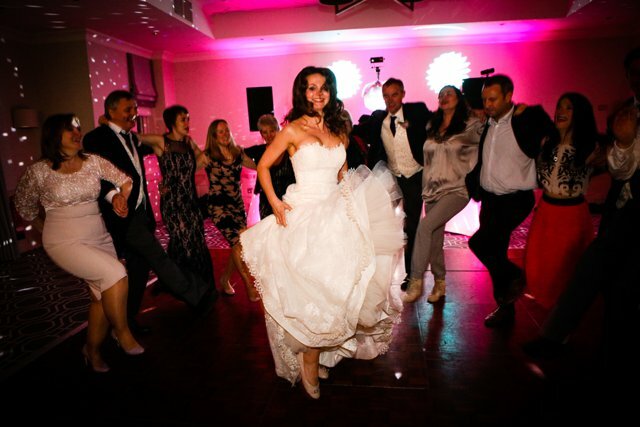 As music lovers and having attended numerous weddings, we felt brides and grooms deserved a professional service that really matched their personalities & lifestyle choices, a service to mirror their modern needs. Music & memories are so closely interlinked that we as DJs can create an auditory experience from the second the guests arrive at a wedding. We will often be asked to use music from a couple’s childhoods, spanning right through to key moments such as university days and so on. 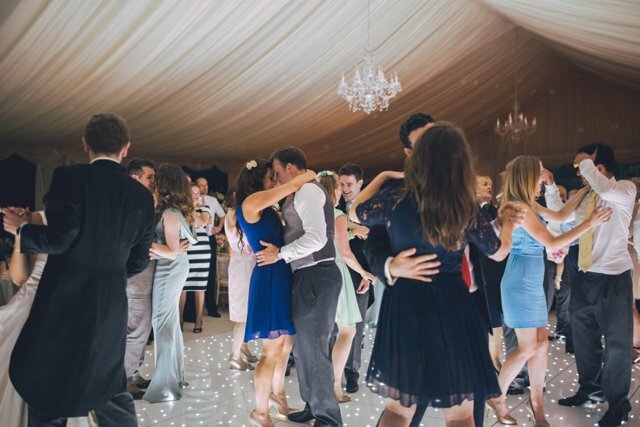 The role of the wedding DJ is far more than turning up and playing music, a good DJ will almost take on the role of floor manager for the evening event by hosting, announcing, creating spotlight moments and ensuring everything is seamless. On top of this we are technically outstanding and, of course, fantastic DJs with an innate ability to read the guests and entertain to broad age and cultural demographics. Customer service is paramount to Mighty Fine, we really take time to talk to our clients to understand exactly what they want. We are creating an experience for them and everybody’s vision is very different so we need to be flexible and responsive to this at all times. 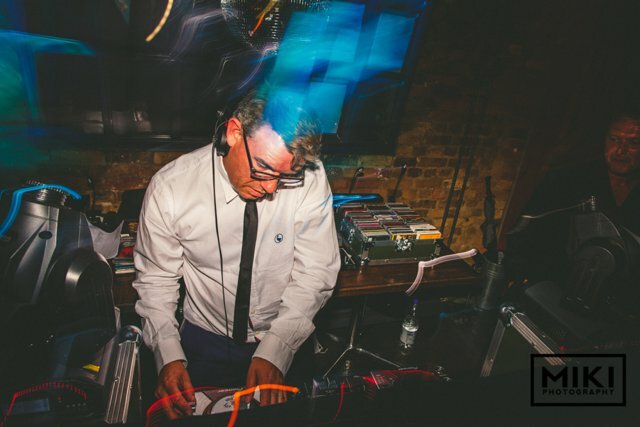 How does the modern wedding DJ differ from the clichéd notion of an old school wedding DJ? I think everyone has a dreadful memory of an old school DJ, cracking jokes over the microphone, playing “Agadoo”, garish traffic-style lights and generally having far more fun than the guests. 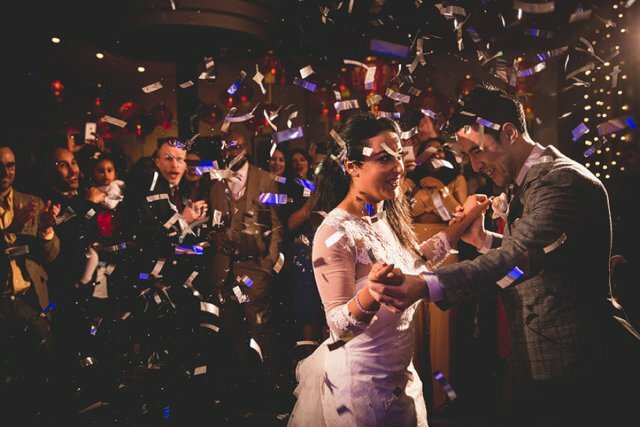 A good, modern wedding DJ is far more sophisticated and is responsive to a couple’s needs. The only way to understand exactly what a couple want from their DJ and entertainment experience is to really get to know them and explore their and their guests’ tastes and expectations. We also need to lend a helping hand on some occasions, suggesting ideas, sharing our experience to ensure they have best experience possible. What’s the difference between DJing for a wedding crowd compared to any other dancefloor? As a former world-class DJ, I can say that wedding DJing is a far more specialised skill set due to the wide range of ages and often cultural demographics. You are very much dictated to by the guests as opposed to dictating to the club goers – you need an incredibly wide taste/understanding of music of all genres as having the nous to understand the natural ebbs and flows that each wedding has and adapting the to this. Following the first awards there was an industry buzz, which brought The Wedding Industry Awards to our attention. People were talking about TWIA and we did our own research to find out more. We were delighted to see that wedding professionals were finally being given the opportunity to be recognised for their outstanding work within their specific field and location, exactly what the industry needed. It was an absolute no-brainer for us to get involved. The greatest change that we have experienced since winning TWIA is that we have become far more visible to both potential clients and also to other industry professionals. Couples will often look for the additional reassurance that a company is professional and trustworthy. Winning the Awards has really helped to reaffirm confidence in our services to potential clients. When we previously entered the awards we told all our couples about it and how excited we were and invited all our brides and grooms to vote and share their thoughts. We used social media, newsletters and emails as a way of raising awareness. It was really heart-warming to see the amount of couples who did vote (120 on average per year) and to read their comments after the awards. It really helped to reaffirm that we must be doing something right! Now that you’re a judge, what are you looking for from entrants? I’m really looking forward to seeing how the entrants focus on their clients’ needs and requirements. How they then take it to the next level and offer a service that is truly award-worthy. Have you seen any specific trends or changes in the wedding industry during your career? Most definitely the increase of social media in our lives has totally changed the way in which the wedding community communicates these days. It’s a wonderful platform to share ideas, network and just keep up to date with trends and ideas. 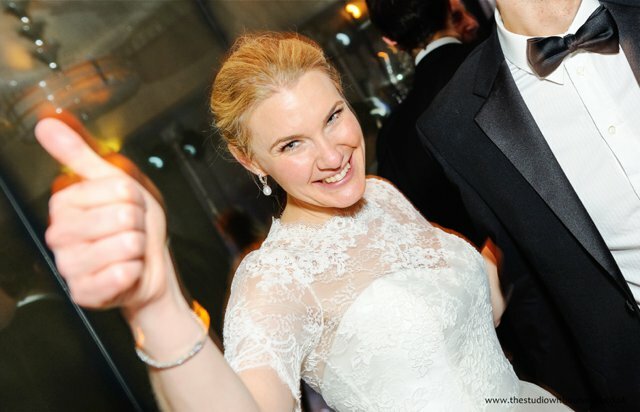 What’s hot in the wedding industry down in London and the South East at the moment? We can see that brides and bridegrooms are really enjoying exploring all the options available to them with some fantastic new innovations appearing every day with personalisation being the keyword. 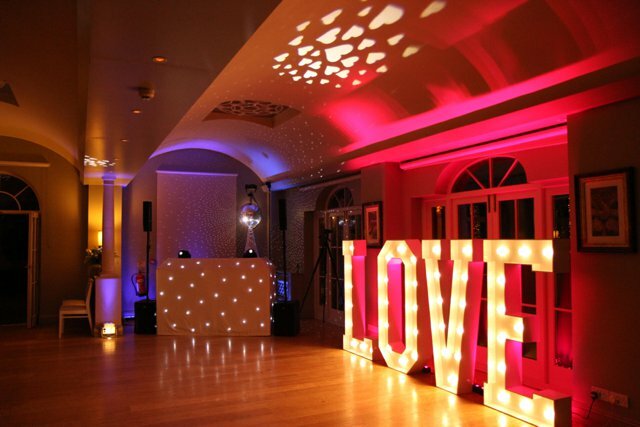 For Mighty Fine Entertainment, we’ve really seen a great desire for our Light Up Letters and these have provided a stunning backdrop and great fun at many weddings. 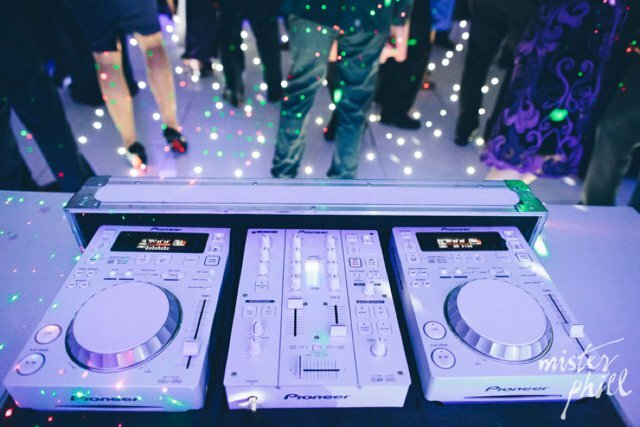 What advice would you give to newbies trying to break into the world of wedding DJs? Firstly try and decide exactly what type of weddings you would like to be doing and then concentrate on being the best you can possibly be in your chosen field. Being a wedding DJ is a highly specialised skill and requires training – do not think you know it all. Attend conferences, workshops and seminars, try hook up with an established DJ and ride along and learn through watching and listening. If you would like to connect with Mark, you can visit his website, follow him on Twitter, or like him on Facebook!